So yesterday I had the amazing honor of going to Pali High to do my presentation, "SAFE SPACE: Ending Anti-Gay Bullying in our Culture... And at Your School." 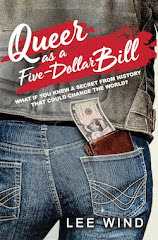 I was met at 7:30am by Jill Barker, Randy Tenan-Snow and Holly Korbonski - the Gay-Straight-Alliance Club's faculty sponsors, and we went to the assembly hall. The room was set up for 350 students, and once the technology was running smoothly (thanks, Ren!) the classes started arriving. The first hour-long assembly went great - I had so much to share, to tell the students, and they really listened. I spoke about the climate of our culture and the recent spike in media attention to gay teen suicides. I told them my story of coming out as a gay man - and about my being married to a wonderful guy and being a father. 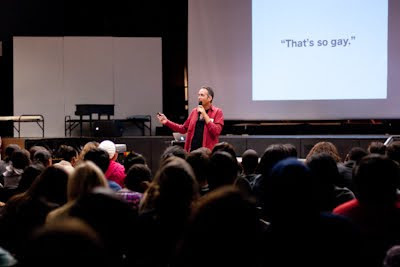 Nearly 90% of the students at Pali High had heard the expression "that's so gay" - not just since the school year began, and not just this week, but that morning before coming to hear me speak! I got them up on their feet to demonstrate the power of coalitions and allies - and how if you add up all the "minorities" in our culture, we make up the vast majority. I spoke about language, culture (we watched some video clips and analyzed them) and laws that send messages of GLBTQ second class citizenship. 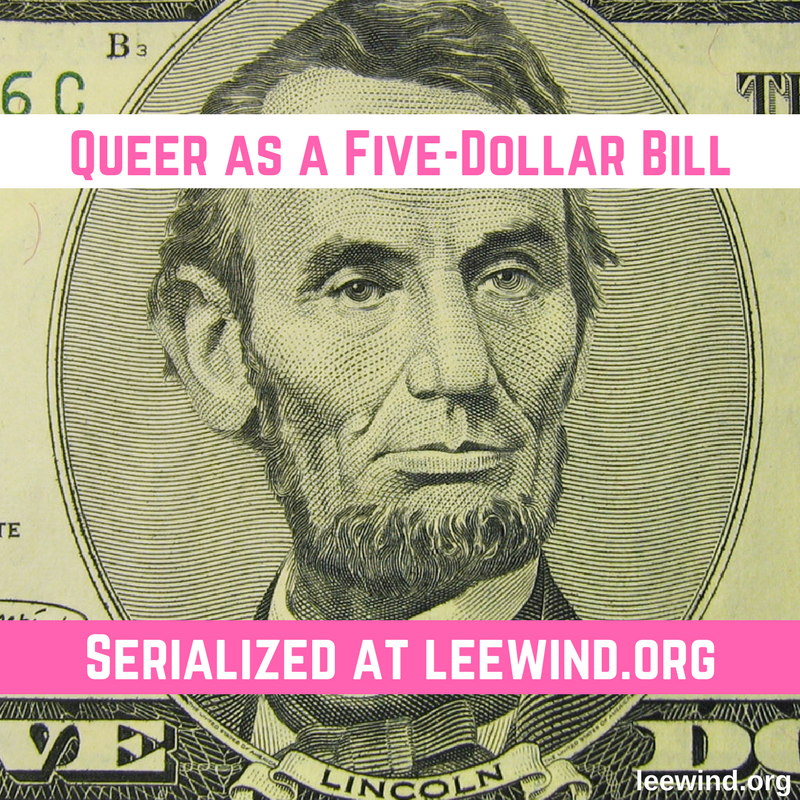 We looked at history, and at some surprising historical figures that were GLBTQ. And I challenged every student listening to not be a bystander, but in the term coined by the amazing organization Facing History And Ourselves, be an UPstander. To stand up with courage and bravery when it's not about you, and make a difference. I'm challenging each of the students to be an UPstander. I suggested lots of ways for them to stand up for equality and for their school to be a SAFE SPACE - for Gay, Lesbian, Bisexual, Transgender and Questioning students and for EVERYONE who is different. I shared my own story about being bullied, and how I was contacted, 32 years later, by one of the guys who had bullied me in elementary school. And as a finale, I showed them one of my favorite "It Gets Better" videos - and urged them to understand that the message isn't just - hold on, survive high school, it will get better once you're out of here - but that WE HAVE TO MAKE IT BETTER. Every one of them... Every one of us. We can make SAFE SPACE be not just something that happens in the room where the GSA meetings are held, or even in the assembly hall where I spoke. But each one of us can be a SAFE SPACE - if we are willing to be UPstanders, we can change not just a room, or a campus... but these kids can change the world. A whole bunch of students came up to me afterward to thank me and introduce themselves - really grateful the discussion was happening at their school. 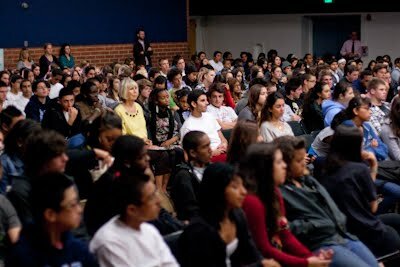 For my second assembly, word had gotten out, and students poured into the hall - the seats were all filled and still they came. They were sitting three, four, five deep on the floor, on the stage behind me, everywhere - more than 450 students, waiting to hear my presentation. Some teens came back to hear me a second time. It wasn't without incident. I found out afterwards that one parent had heard that I was speaking as a guest of the GSA club, and physically came to the school and pulled their child out of the assembly. I also heard from a teacher that one student objected to her on the grounds that he was too religious to listen, and while she told him he didn't have to stay for my presentation, she said to him, "Keep in mind - Jesus would have listened." And that student stayed for the whole hour. More than 450 students stayed, and listened, and interacted, and were challenged for that second assembly, and it was amazing. And then, I went to the Gay-Straight Alliance Club's lunchtime meeting. At the GSA meeting, we had a great Question and Answer session, and the students seemed fired up about shifting the culture at their school to be not just tolerant - not just accepting - but to celebrate the differences, including celebrating the school's Gay, Lesbian, Bisexual, Transgender and Questioning students. 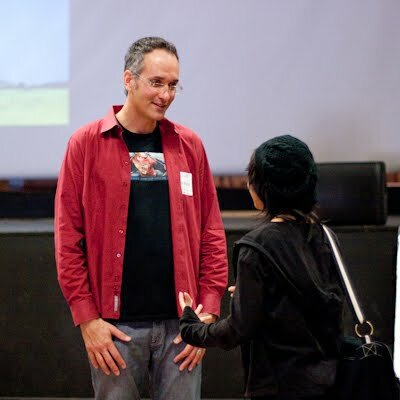 Author Ben Mikaelsen said to me recently that if you're going to go into a school to just entertain the kids, the school could probably hire a clown for that. You want to go in and make an impact - speak to the students directly about what they can do to live their lives to their full potential. I took that advice to heart. And I hope (and believe I did) deliver that. I had (and have) so much to say about ending Anti-GLBTQ Bullying and Bias in our culture and our schools, and yesterday, I was heard by more than 800 high school students! "I was very moved and it made me feel better about myself." 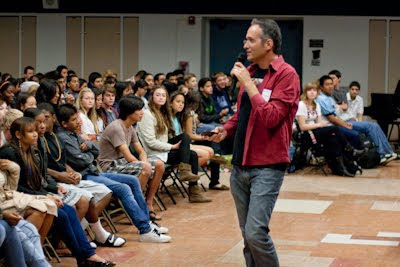 I'm really honored to have been given the opportunity to have my voice heard at Pali High. 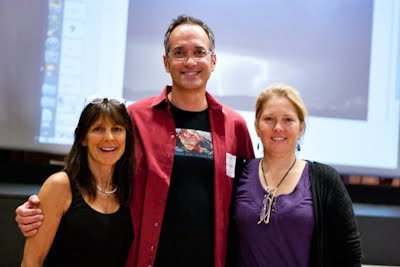 two of the amazing faculty sponsors of Pali High's GSA club. If you're interested in having me come to your middle school or high school to present my talk or do my in-class SMASHING STEREOTYPES workshops, contact me at leewind (at) roadrunner (dot) com. Thanks so much Pali High! ps - all photos by the amazing Rita Crayon Huang! Thanks, Rita! What a fantastic day! It sounds like you made a real impact and had fun doing it. This sort of thing makes me feel hopeful for the future. Fantastic, Lee...thanks for sharing this. Wish you'd come to my high school a few decades ago! Wow, we have goosebumps and are so proud of you! Love Dina Jerry and John (who happened to be giving a computer tutorial to Dina this morning. Wow just Wow. As you know I read your blog daily. It inspires me to be a more compassionate person and now you are having that same impact on 800 students. I'm so proud to be your friend! That is amazing! So cool. I love the idea about not being a bystander. And I love the story about the bully who called you up after 30 years. I also love the teacher who had the snappy comeback about Jesus. You really made a difference in that school! Awesome, Lee! You ARE a rock star! This was really wonderful to read. Thank you, and thanks to everyone who took the message to heart. That's incredible! I'm so glad you did that! Lee, I truly believe the talk you gave changed lives forever, yesterday. I wish I had been there to see the students sitting three to five deep on the floor during the second session. I definitely heard (and contributed to) the buzz outside the auditorium, between sessions! Congratulations on giving such a powerful, polished presentation. I feel privileged to have attended! That's fantastic, Lee. Happy for you and for all the kids there. Hi, Lee. Miah Shilpi here, VP of the Pali High GSA. I want to thank you again for speaking at our school. It was an awesome assembly and I loved the way you spoke and interacted with the students. I do hope you can come back again - several teachers have already regretted being unable to take their kids to your assembly, so I'm sure many would love if you could come again. Thank you for all your work. Thanks everyone! It was a powerful experience that resonated so deeply with me - every minute of it I felt, "YES, this is exactly what I should be doing" (this and writing) - and I'm so excited that it's just the beginning of going to schools to help change the culture. 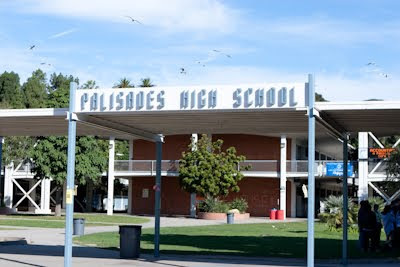 And Miah, I would be honored to come back to Pali High to speak again! Thank you - ALL of you - for being UPstanders! Together we can end Anti-GLBTQ bullying and make schools, and our world, a better SAFE SPACE place for all of us! You are definitely a rock star, Lee, as well as someone I look up to...and not just because you're taller than me. I just wanted to let you know that after your assembly, the turnout at our GSA meetings has at least tripled! I am so proud of how well it went, and how our club is so recognized on campus now. Thanks again, and hopefully you will come again soon! Joel Burns Comes Out About How "It Gets Better"
Today (Oct 11, 2010) is National Coming Out Day! GSA Monday: October is LGBT History Month!